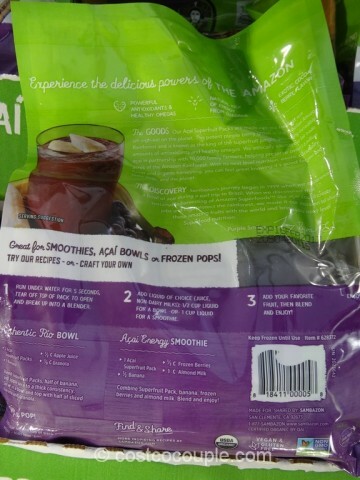 UPDATE 07/03/16: Spotted these in the ice-cream section (they were previously by the frozen fruits) recently. 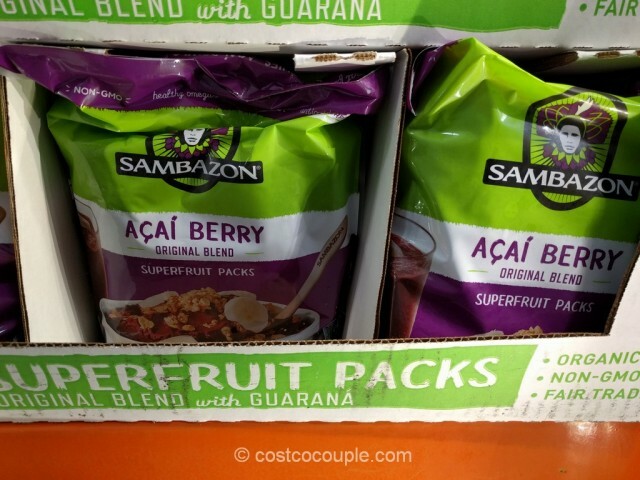 The Sambazon Organic Acai Superfruit Pack is still priced at $11.89. 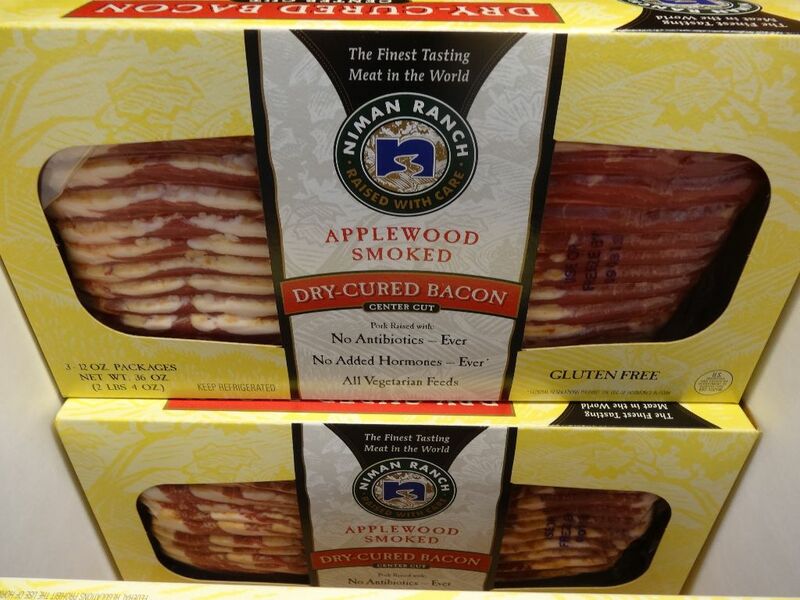 Item number 628372. 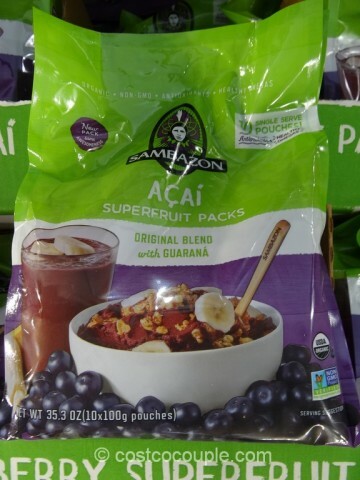 PUBLISHED 04/09/15: If you love making healthy smoothies or acai bowls, you may want to check out the Sambazon Organic Acai Superfruit Pack. 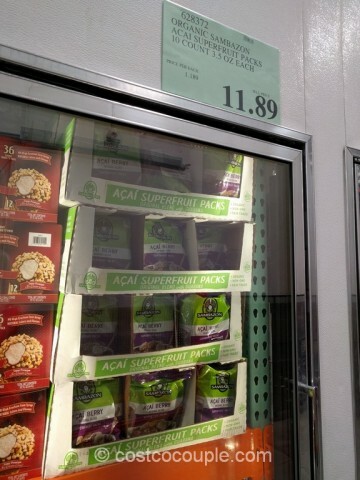 Acai is a purple berry that grows in the Brazilian rainforest and contains lots of antioxidants. 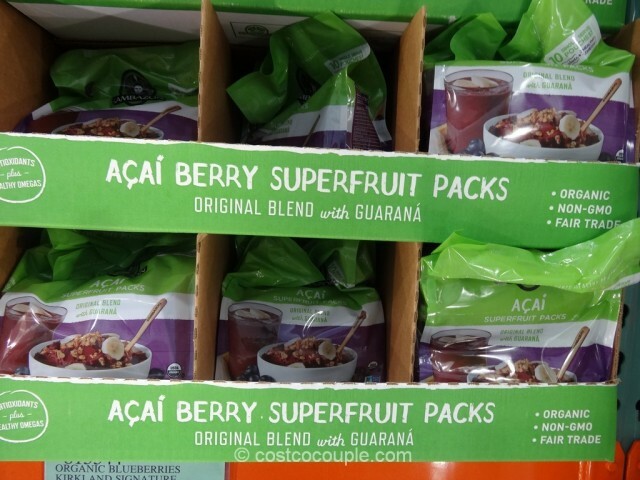 There are 10 single serve, 100g pouches in one Sambazon Organic Acai Superfruit Pack so you can make one or more servings easily. 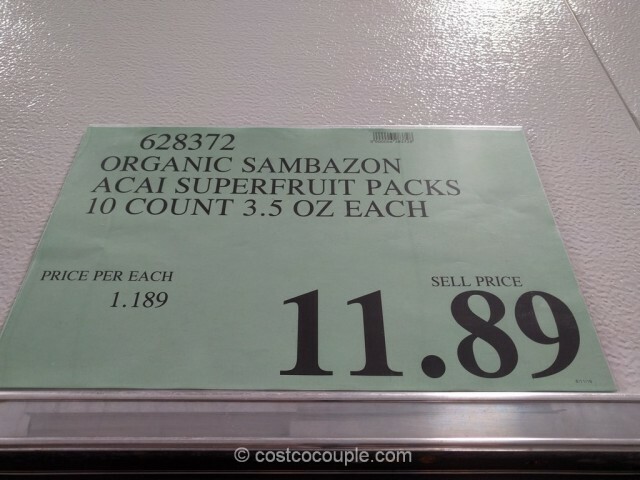 The Sambazon Organic Acai Superfruit Pack is normally priced at $11.89. 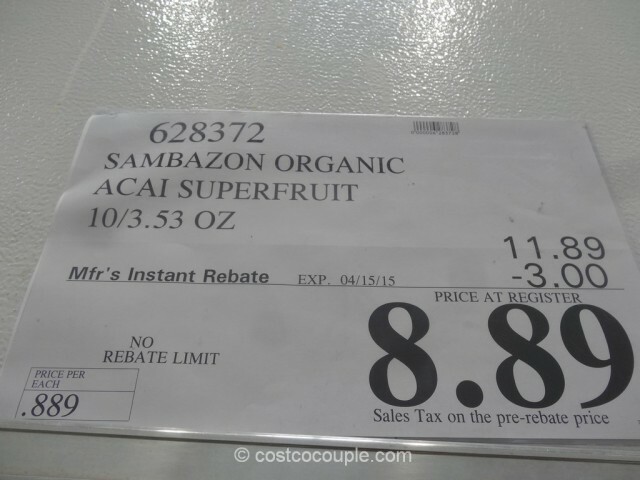 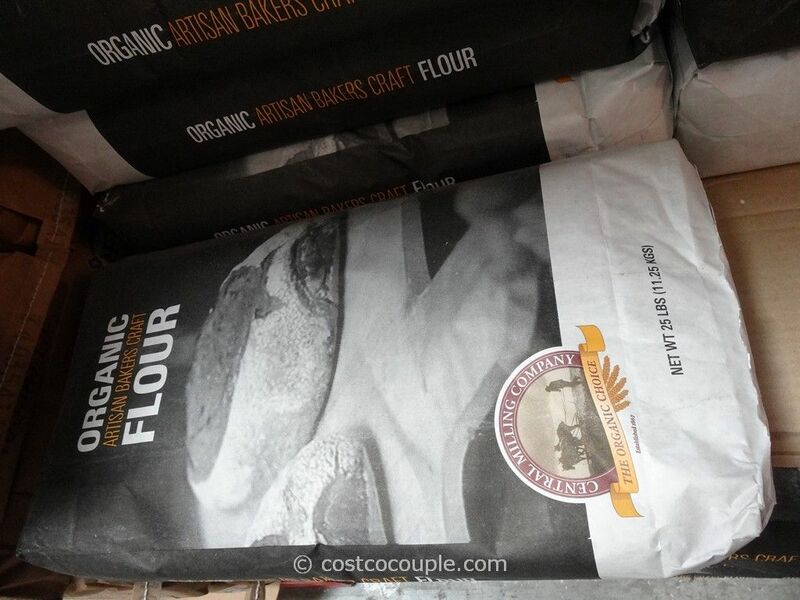 There’s currently a $3 instant rebate which reduces the price to $8.89. 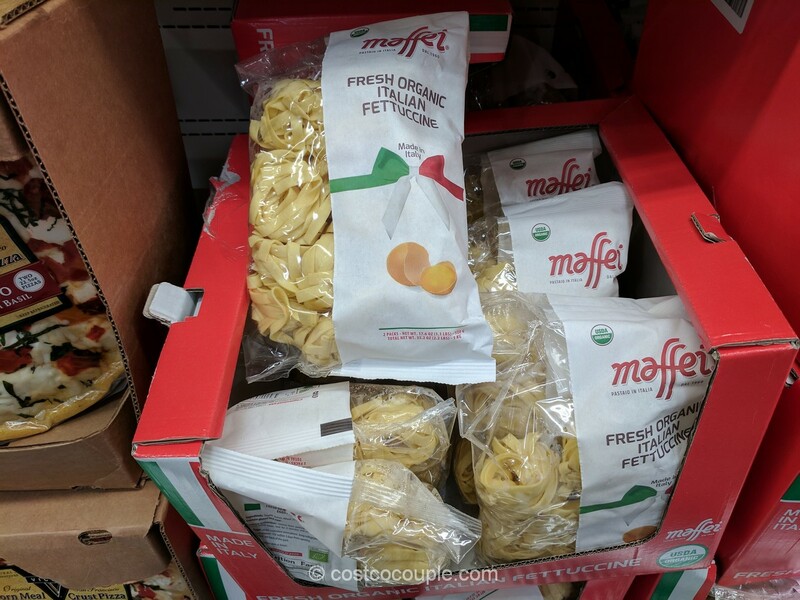 Discount is valid till 04/15/15.